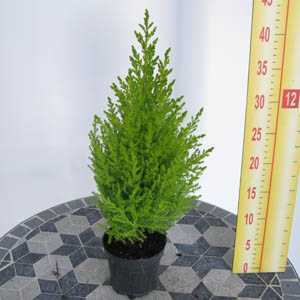 'Goldcrest' conifer is a vigorous evergreen coniferous tree with a narrowly conical habit. Its lime-yellow foliage is held in erect sprays and in summer is lemon scented. Idea for centre piece for a hanging basket or patio tub.